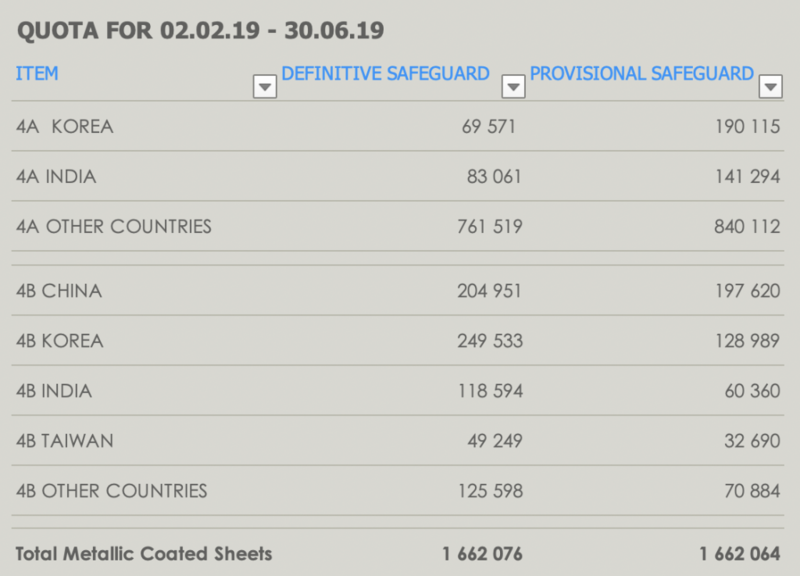 In the definitive EU steel safeguards, the total quota for 4A +4B Metallic Coated Sheets is unchanged. 4A+4B quotas per country are also unchanged. But in the definitive safeguard quotas, there is a shift of volumes in favor of category 4B (non passivated) at the expense of category 4A (passivated).